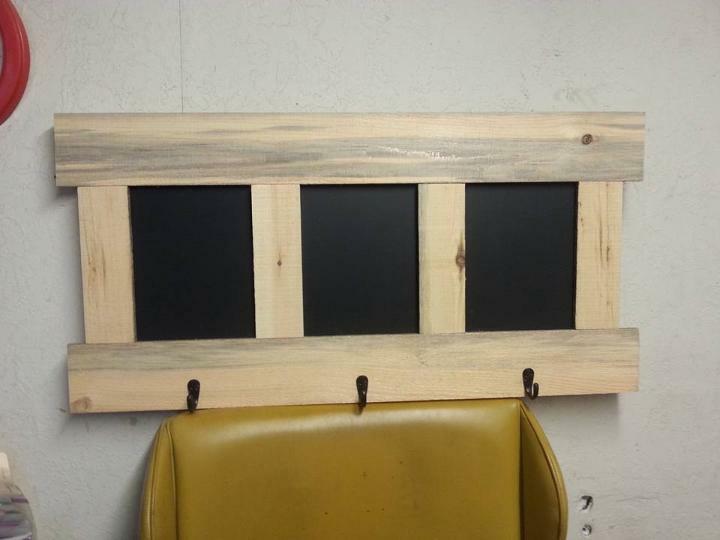 Find the unique pallet projects to organize your interior wall areas as you can craft custom signs, wall organizers, wall art pieces and even the custom wall hooks with pallets with great ease! 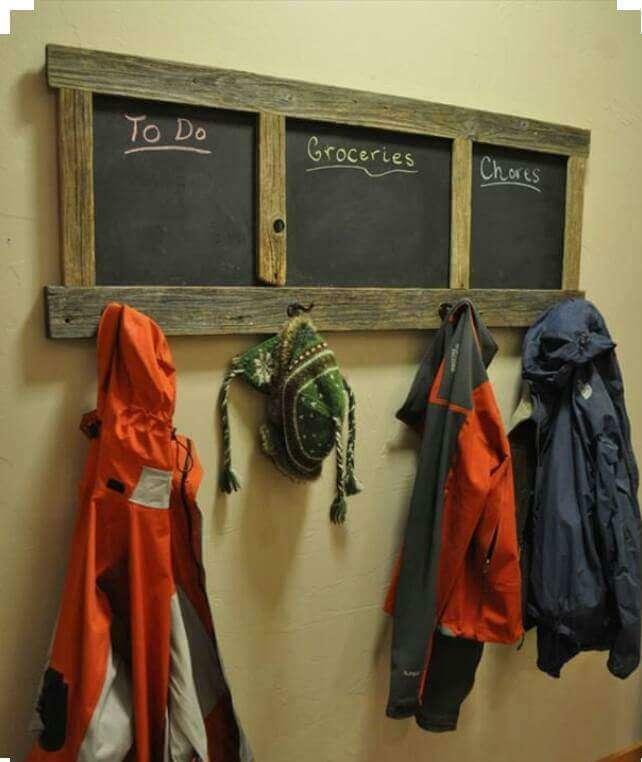 Here few of pallet slats have been packed flat with inside blackboard to yield this DIY pallet coat rack, having 4 metal hooks which can be increased to any number according to your desire! Packed-in chalkboard allows the user to write custom name letters about the stuff to hang and hence can create an overall better impact! The main issue would be the mounting of it, just solve it using latest hardware hanging systems or go with often used techniques like by adding wire loops or picture hangers on back of this rack! Don’t want to make it appear rustic? Just go with those personally selected paint shades and change the look of it from rustic to modern that will rock on your modern interior wall areas! Sand-witch a chalkboard between two different layers of pallet-plank and gain a custom shape! Fix some hooks over the wood just in random or preferred assortment and let this setup rock on a wall area as a coat hanger or organizer! 4 Metal hooks have been installed to gain a custom holding space and you can easily write the name of stuff over the chalkboard which you are about to hang! 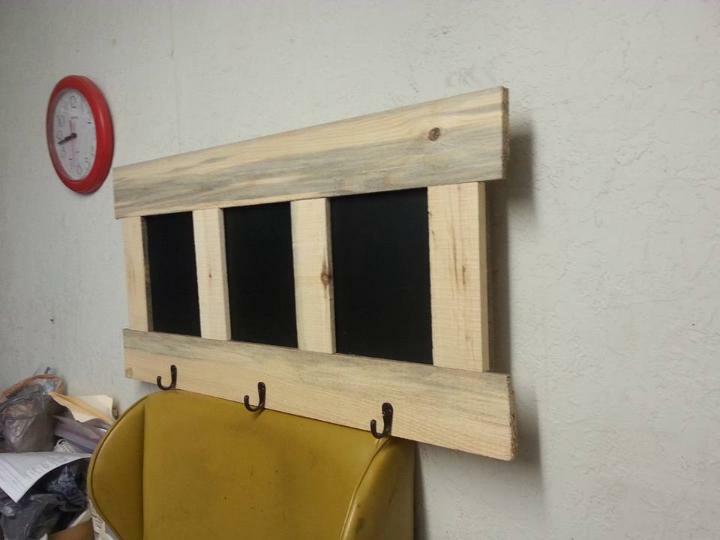 All you need is to gain some separated apart pallet planks, 3 bigger planks would be enough to install this whole wooden organizer on your favorite wooden wall!